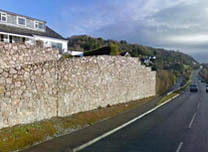 A381 Teignmouth Road ~ South Devon. 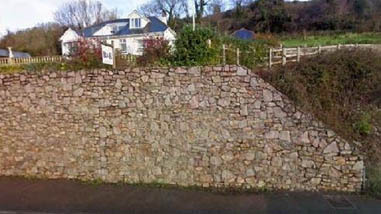 Client : Teignbridge District Council. 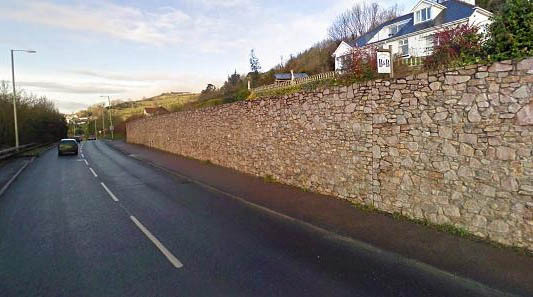 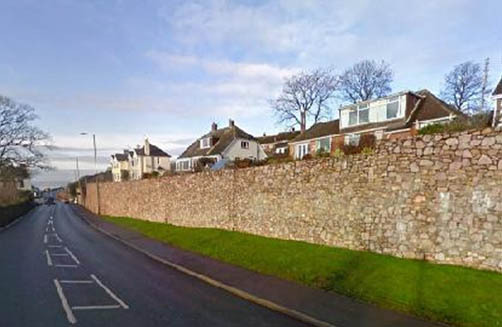 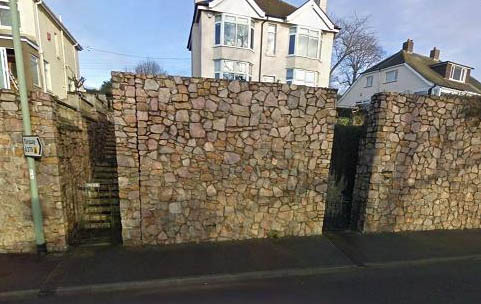 We carried out all the stonework to a road widening scheme on the A381 in Teignmouth, Devon for Teignbridge District Council. 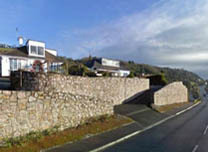 The road follows the River Teign, from Jack’s Patch to Shaldon Bridge. 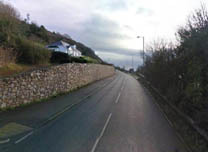 Hundreds and hundreds of metres of stone walling were built for the walls along this long stretch of road. 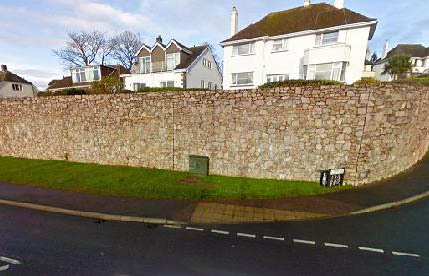 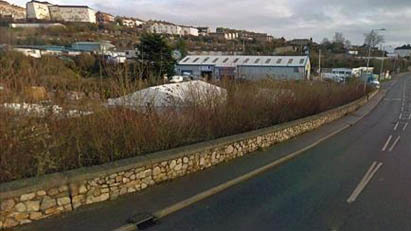 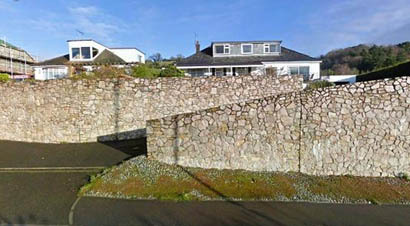 Most of the work involved retaining walls to the properties affected by the scheme. 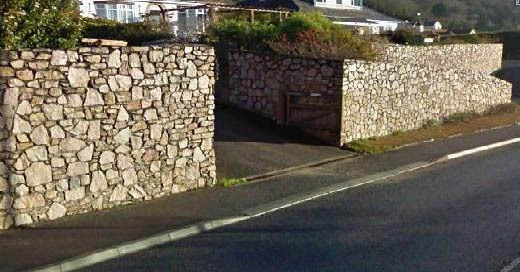 Limestone from Stoneycombe Quarry was used for this project.